How do we determine value? Most often it is by the price paid for something. Of course there is intrinsic value that can not be measured by the price paid but by what something or someone means to us in sentimental or utilitarian way. I was pondering statements made by Jesus recorded in Mathew 13 and was stricken by a deep and meaningful insight that I wish to share with you. Most of my Christian journey I understood this verse to highlight the worth of seeking God’s Kingdom as defined by Jesus. However, today I perceived these words from a different perspective. Instead of my pursuit of God I saw His pursuit of me. I understood that He valued me and all the rest of humanity so greatly that He sold all HE had to buy us. Uncreated Life, Jesus, in all His glory, valued humanity so highly that HE was willing to lay down His estate in the divine realm. By personal choice He humbled Himself to become man. He then lived a life like you or I; subject to all the influences of this world and the unseen world and yet did not sin. Then in this guiltless state HE took upon Himself the price for all sin, death. Not just the sins of a few but of all for all time. 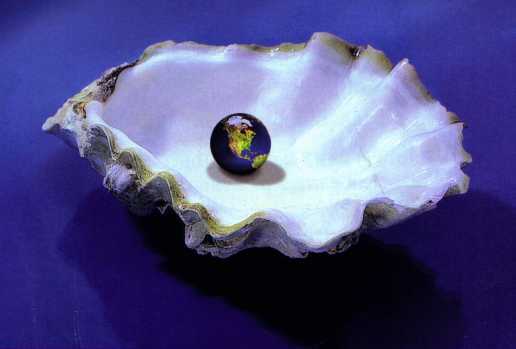 When I consider that God saw me as a pearl of great price, that from His lofty realm of majesty on high, sought to buy me out of slavery, I am awe struck. He did not do it with gold and silver but with His own flesh and blood. What a price was paid, what value bestowed, what awesome worth transmitted to me by the King of Kings! My worth and value is not determined by who I am or what I have done or ever will do. My value and worth as well as the value of all mankind is PRICELESS! Loving LIFE means loving that which LIFE loves! I am loved today and so are you. I pray that you will have encounter with the Divine Treasure Hunter who will seek you, then upon discovering you sell all He has to buy your freedom. Say “yes” when He comes to claim you as His prize! What a difference 7 days will make! The scene is joyous, sounds of a party, crowds chanting, people running, children jumping. The crowds gather to see a man riding on a donkey entering the city. “Look it is Jesus of Nazareth, the miracle worker,” some cry! Others run to retrieve palm branches to wave at the procession. With shouts of praise the crowd chants words from the Psalms, ” Hosanna to the son of David; Blessed is He who comes in the Name of the Lord; Hosanna in the highest!” They chant Hosanna, meaning, “Save now, we pray,” expressing the anticipation and hopes of the crowd. Has this Jesus come to declare Himself King of the Jews and deliver us from Rome? Throwing their garments in the road in respect for an honored guest they receive Him into the city, with shouts of, “Blessed is the coming kingdom of our father David!” A crowd was running before Him and running behind Him chanting, praising, and singing as His closet followers walked alongside wondering in amazement what does this all mean. It was quite a day, and an exciting celebration. The Gospels record the story in Matt 21, Mark 11, Luke 19, and John 12. 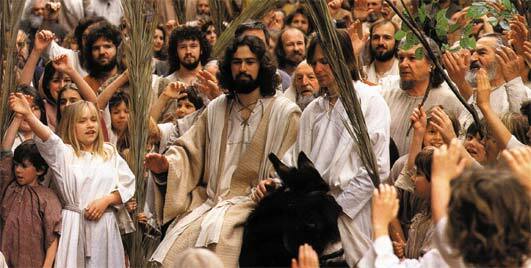 This is what Christians celebrate as Palm Sunday, the first day of Passion Week. The name is derived from the palm branches that were waved at Jesus and laid in the road before Him as he entered Jerusalem, the City of David. The colt or donkey that He was riding upon was lent to Him by a generous benefactor so He could fulfill the prophecy of the coming of a King to Jerusalem, Zechariah 9:9. This day marks the beginning of the end of the earthly ministry of Jesus. In just a few short days that same crowd would be chanting, “Crucify Him, crucify Him!” as well as “Give us Barabbas!” They would exchange Jesus, the miracle worker, for Barabbas the common thief. The crowd of that day, no different than crowds of today, entered into the frenzy of the majority. While wildly chanting, praising, and running with the fellow next to them they were asking, “Who is this?” Matt 21:10. “This is the prophet Jesus, from Nazareth in Galilee!” rings out as the answer and there is the problem. Luke records in his Gospel a profound insight into the man Jesus who in the midst of accolades, praises, and cheering crowds of adoration is stuck with deep sorrow to the point of weeping for they had missed the time of their visitation. It is no different today. Like many church going Christians of today the citizens of Jerusalem followed the crowd, sang the songs, declared Him King of Kings but missed the intention of His coming and the authority of His words. Then there are others who look to the knowledgeable in the crowd and ask the question “Who is this?” Only to be misled by their uninformed answer! Oh, and let us not forget the religiously arrogant who are simply jealous that the crowds are groping to know and follow Jesus rather than listening to them. On Palm Sunday, millions will flock to church in their Sunday best to sing, praise and hail the coming of the triumphant Jesus. But my deep concern is that we all will miss the time of our visitation. Will we see him for who He is? Will we pause in the din of the crowd to ponder the consequences of missing the moment? Perhaps you have heard the claims of Christ in your life. Maybe even joined a crowd shouting Hosanna. But the real questions is have you recognized your day of vitiation? Have you heard the words of Jesus and believed them? He is more than a prophet, more than a miracle worker, more than a great teacher. Jesus of Nazareth of the Galilee, the man who would suffer upon a tree for you and me, He is God very God, maker of Heaven and earth! He is the judge of the living and the dead. He will come again to receive to Himself all who have put their hope and trust in Him. If you believe in your heart that God raised Him from the dead and confess with your mouth that He is Lord while turning from a life without God you will experience His salvation and Life. Ask Him today to fill you with His Holy Spirit and —- Do not miss the Day of Your Visitation!